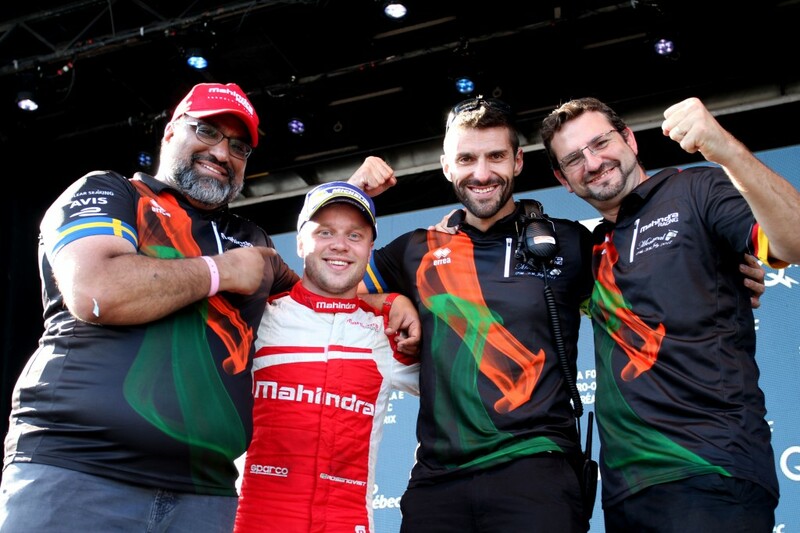 Felix Rosenqvist kept his calm in a tense finale to claim a podium in Sunday’s Montreal ePrix, sealing the much-wanted third place in the FIA Formula E Championship standings to cap off an exceptional rookie campaign. Rosenqvist came out on top in a titanic battle with Sam Bird over third in the all-electric single-seater series, converting pole position at the Canadian street track into his fifth podium from 12 races in the 2016-17 campaign. The Swede was on top form throughout Sunday’s finale, storming to his third pole this season – a record matched only by new champion Lucas di Grassi – with a collected lap in the Super Pole segment of qualifying. He went on to lead for much of the 37-lap race, fending off Jean-Eric Vergne throughout the opening stint and for much of the second until the Frenchman finally got past in the closing stages. Rosenqvist was never truly troubled for second, however, and ultimately crossed the line 0.8s behind Vergne to overhaul Bird – who had qualified alongside Rosenqvist on the front row but finished the race in fourth – in the battle for overall bronze. Felix Rosenqvist ends his maiden Formula E campaign 54 points behind new title winner Lucas di Grassi, and just 30 adrift of outgoing champion Sébastien Buemi. Rosenqvist is also crowned the season’s best rookie, scoring almost twice the points of the nearest fellow newcomer (triple WTCC champion José María López). Meanwhile, Mahindra Racing end up an all-time-high third in the teams’ classification, with the squad’s second driver Nick Heidfeld taking seventh in the drivers’ standings. Rosenqvist gave the team its breakthrough Formula E win earlier this season at the Berlin ePrix. In total, Felix Rosenqvist has racked up one win, five podiums, three pole positions and two fastest race laps in the 2016-17 FIA Formula E Championship. 1: Lucas di Grassi (BRA), 181 p.
3: Felix Rosenqvist (SWE), 127 p.
4: Sam Bird (GBR), 122 p.
5: Jean-Eric Vergne (FRA), 117 p.